Student lead teams teach leadership, creativity, self expression, and team work. These are just a few at MMS. Meals on Wheels: The Meals on Wheels action team brings food to the elderly who can't leave their homes. 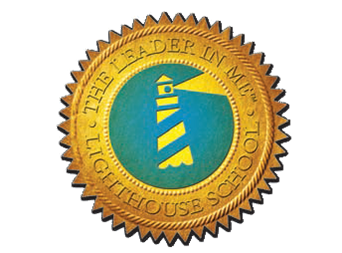 Student Lighthouse: The Student Lighthouse is a group of students who come together and talk and plan ways to make the school better for the staff and the students alike. Senior Center: The Senior Center action team allows about four of MMS students go down to the local senior center and help out wherever they are needed. Public Recognition: The Public Recognition action team is a group of students who coordinate to recognize ​a club or organization in our community that has help our school or our community and present the coveted Golden Milkbone Award during an assembly. Birthday: The Birthday action team are a group of students that meet to determine when students' birthdays so they can be recognized on their birthday. Student of the Month: The Student of the Month action team meets each month to select one student from each grade level is choose for the outstanding leadership or kindness he/she has shown throughout the school year. Picture Perfect Crew: The Picture Perfect Crew action team is a team made up of 8th grade students who cover school activities by taking pictures of daily life of students, sporting events, and many more. This team assists the Yearbook class by covering events before and after the class meets. In addition, the team creates videos as requested for events, does media coverage for Leadership Day and maintains this Leader in Me webpage. Box Tops: Our Box Tops action team includes students who count and collect box tops from students to raise money for our school. Library Helpers: Library Helpers are seventh and eighth grade students who have good grade that come down to the library during STAT to put away books and clean up the library. Magnificent Mural Squad: Students find a blank spot on a wall in our school and paint murals on the wall that have to do with the 7 Habits. Band: 7th and 8th grade band members perform together at events for the school. Concession Stand: The Concession Stand action team sells drinks and snacks at home middle school events. WIG Out Loud: The WIG Out Loud committee tracks literacy and math goals of each grade level. At the monthly assembly they present the top grade for each with the traveling trophy.